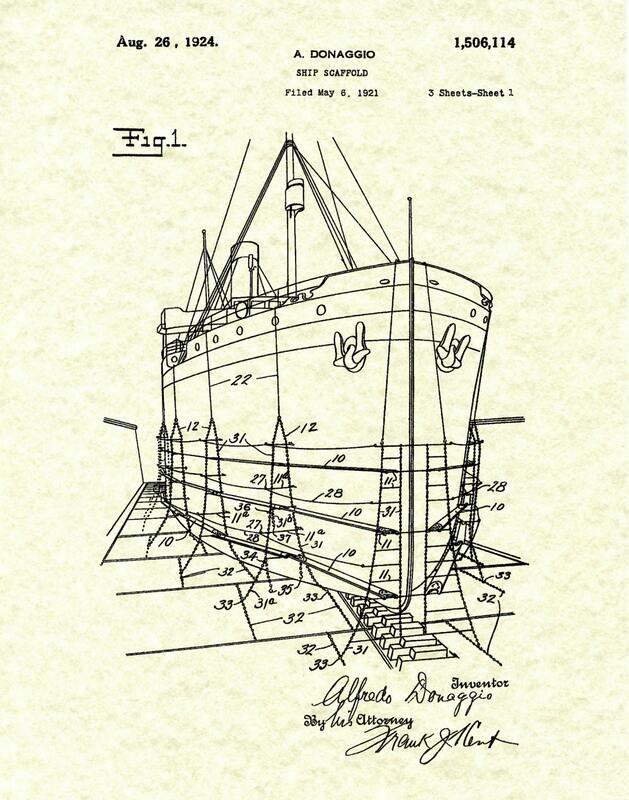 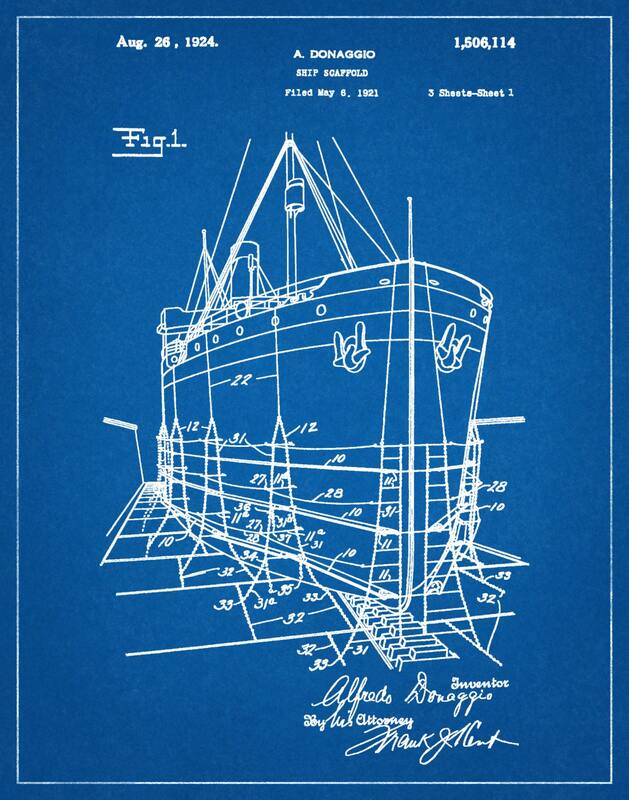 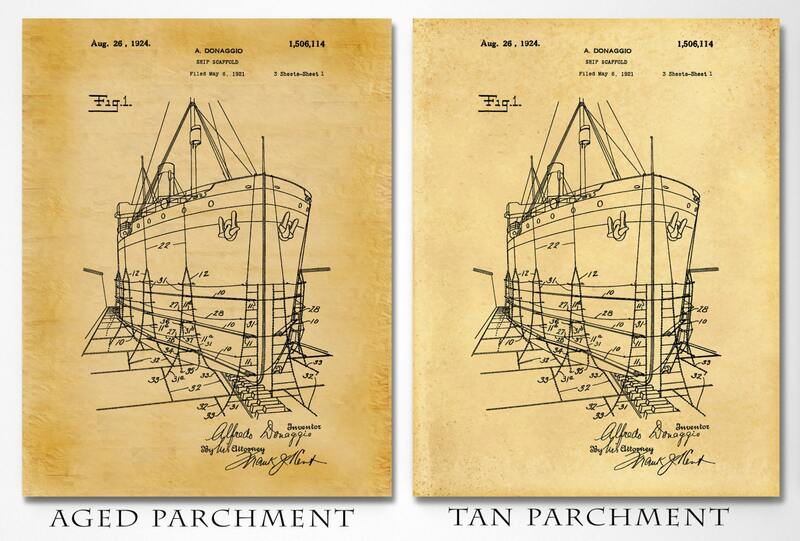 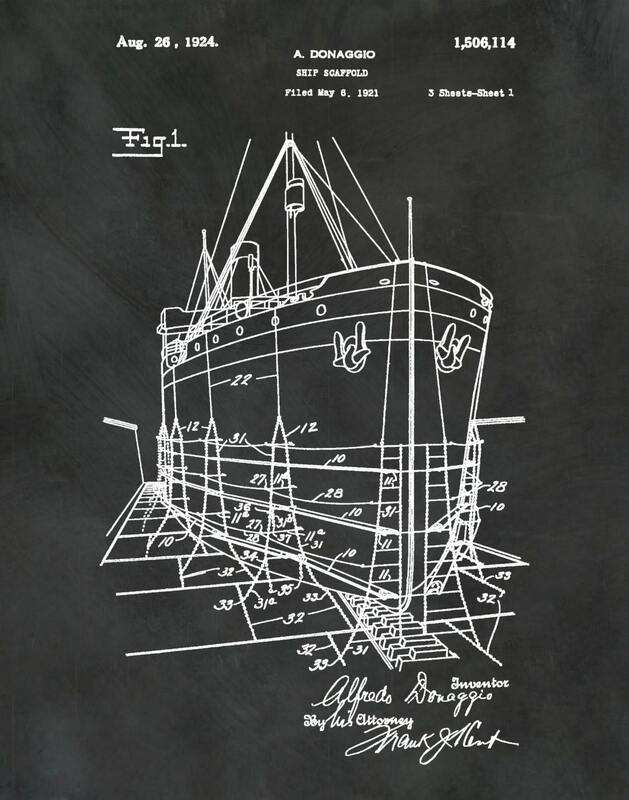 1924 Ship Scaffold Patent Patent invented by Alfredo Donaggio. 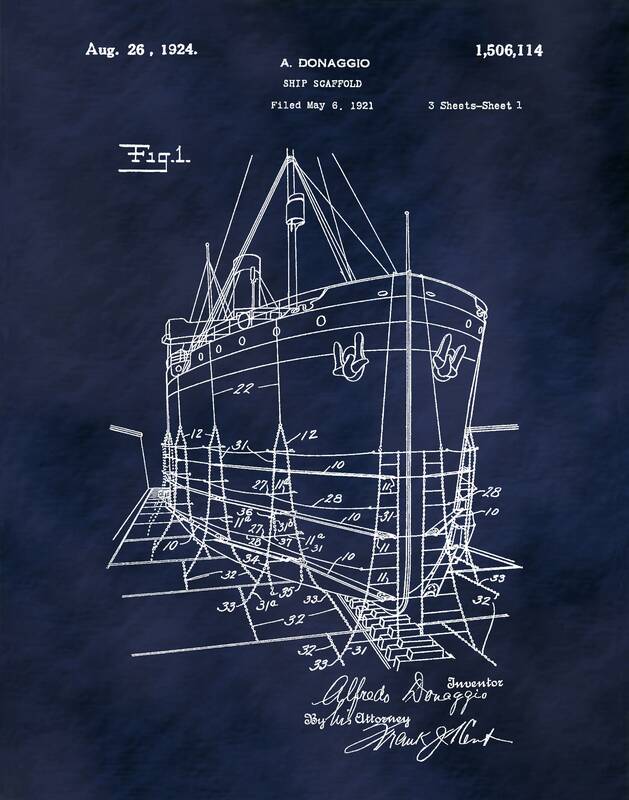 The patent was issued by the United States Patent and Trademark Office on August 24, 1924. 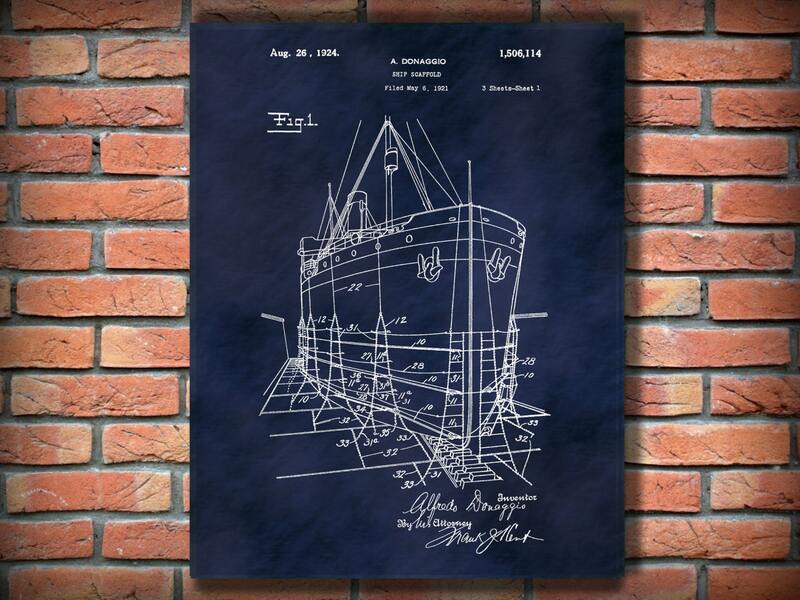 Gorgeous print and looks amazing framed.